Apple Music, iOS 9 and more: The best of Apple’s WWDC 2015 so far! Apple’s annual Worldwide Developer Conference kicked off last night. Let’s get straight to the big news! Apple’s streaming service, rumoured since they acquired Beats for $3 billion last year, is finally here. The service is essentially Apple’s version of Spotify, with a huge library of tracks available to stream for £9.99 a month. That’s the same price as a Spotify Premium subscription, even though it was rumoured Apple would charge less. There’s no free version either, although you do get a 3 month free trial. With no price advantage, Apple are banking on a raft of other features to tempt Spotify users over. There’s Connect, which they hope artists will use to share new music and post updates to fans. The fact Drake introduced this feature gives you an idea of the calibre of artists they already have on board. Apple finally announced their plans for Zane Lowe after poaching him from Radio One too: Beats One, a new 24 hour radio station. Luckily for Zane, there will be 2 other full-time DJs helping him out, Ebro Darden and the UK’s very own Julie Adenuga, as well as (rumoured) guest DJs. Apple Pay is launching in the UK! Hooray! Yep, from September, us lucky lot will be able to use our Apple devices to pay for goods (unless you bank with Barclays…). The list of ‘confirmed’ retailers so far includes Costa Coffee, M&S and Waitrose, although we’d expect more to jump on the bandwagon as the launch date approaches. If that wasn’t enough to convince you to dump your wallet or purse in the nearest bin, Apple’s new Wallet app might. It integrates all of your debit, credit, store and loyalty cards into one handy, non-plastic app. Elsewhere, everyone’s favourite personal assistant Siri has had a makeover. A new feature called Proactive will provide context-sensitive information (such as the best route to take to work according to the current traffic situation), as well as the ability to ID callers who aren’t in your address book using your email inbox. It’s still not quite your own personal Scarlett Johansson (as promised by Her) but it’s a step closer, we suppose. Notes is also getting an overhaul to bring it in line with productivity giant Evernote, with sketching, checklists, photos and pretty much every other successful features Evernote has introduced in the past few years thrown into the mix. Apple Maps (a name that is constantly followed by ‘it’s not as good as Google Maps’) is getting a much-needed refresh too, with the addition of public transport information. It still lacks some of Google Maps finer features, but it’s slowly established itself as a viable alternative. Apple also unveiled a split-screen productivity mode for the iPad Air 2, as widely expected. Split-screen is only available on the Air 2 for the time being, although you’ll be able to ‘swipe in’ apps from the side on older models. And finally, there was some good news for people who stuff their phone with music, photos and videos: iOS 9 will only require 1.8GB to install (iOS 8, by comparison, took up a massive 4.6GB). The latest version of OS X promises to be smooth, refined and quick, even though it’s named after a mountain (which tend to be rough and…erm, don’t move). The slightly odd name comes from a peak in Yosemite, the region of California the previous OS X took it’s name from. This, apparently, is because El Capitan is an evolution of Yosemite rather than an overhaul. So, rather than getting any showstopping features, Mac users are getting minor – but useful – improvements. It’s up to 1.4x faster thanks to various optimisations, features semantic search (so you can type ‘documents I worked on in August 2014’ and, lo and behold, all your work from August last year will appear) and boasts the ability to snap two windows half-and-half on the screen for optimum multitasking. While it wasn’t mentioned in the WWDC keynote, Apple’s cheeky new Move to iOS app is an obvious signal of Apple’s aggressive push to win customers from their rivals. 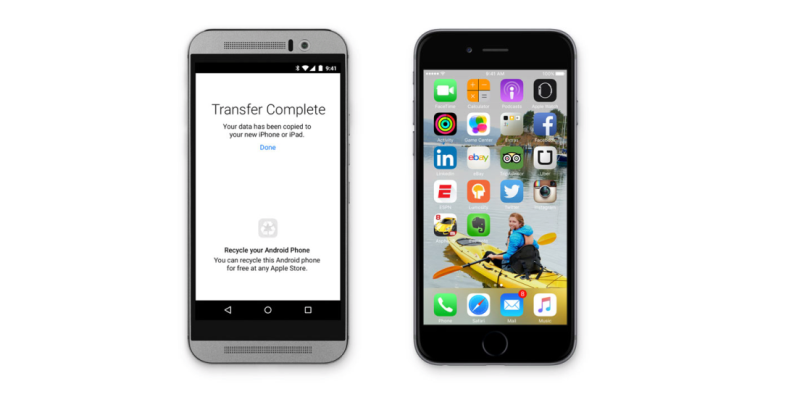 The app allows Android users to transfer files, contact, messages and more wirelessly. It doesn’t address the age old issue of paid app switching, though, which is a significant barrier for making the big leap for most people. Of course, Apple are just keeping up with the crowd here. Android have long promoted ways to switch, while Samsung’s Smart Switch offers pretty much the same functionality in reverse. Underwhelmed by the latest Apple announcements, or fancy upgrading in time for iOS 9? 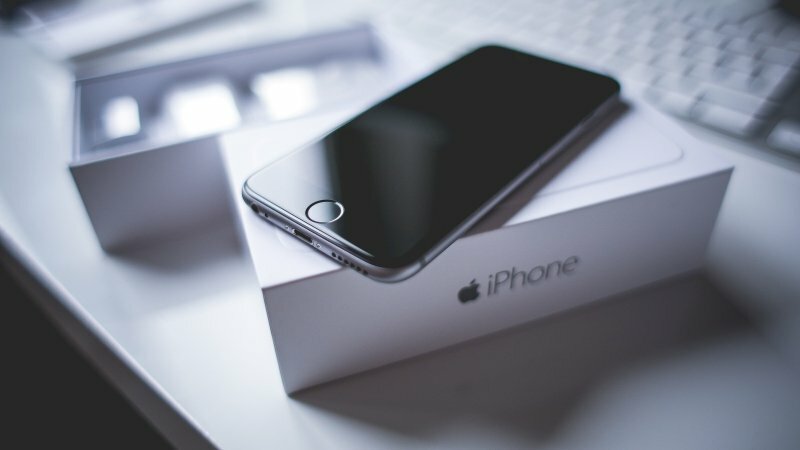 Sell your iPhone with musicMagpie! Click the button below for a FREE instant price.